ACFS-9391: Checking for existing ADVM/ACFS installation. ACFS-9392: Validating ADVM/ACFS installation files for operating system. ACFS-9393: Verifying ASM Administrator setup. Device "/dev/sdb1" is marked an ASM disk with the label "VOL4G"
Auditing is site autonomous. A database instance audits only the statements issued by directly connected users. A local Oracle Database node cannot audit actions that take place in a remote database. What will be the audit output looks like if the session is via DBLINK? Receiving error running DBMS_SQL in 11g. This may have worked in 10g. DBMS_SQL has been recoded with some security checks in 11g. A new error has been introduced, ORA-29471, which indicates usage fails a security check. Usage of DBMS_SQL has failed a security check. The application must be recoded. For a temporary work around, a new parameter security_level can be added into DBMS_SQL.OPEN_CURSOR. security_level specifies the level of security protection to enforce on the opened cursor. Valid security level values are 0, 1, and 2. When a NULL argument value is provided to this overload, as well as for cursors opened using the overload of open_cursor without the security_level parameter, the default security level value 1 will be enforced on the opened cursor. Level 0 - allows all DBMS_SQL operations on the cursor without any security checks. The cursor may be fetched from, and even re-bound and re-executed, by code running with a different effective userid or roles than those in effect at the time the cursor was parsed. This level of security is off by default. Level 1 - requires that the effective userid and roles of the caller to DBMS_SQL for bind and execute operations on this cursor must be the same as those of the caller of the most recent parse operation on this cursor. Level 2 - requires that the effective userid and roles of the caller to DBMS_SQL for all bind, execute, define, describe, and fetch operations on this cursor must be the same as those of the caller of the most recent parse operation on this cursor. Please note that this setting is not recommended and that this workaround might cease to work in future versions. To enable common users to access data about specific PDBs, you must run the ALTER USER statement in the root. Example 4-6 shows how to run the ALTER USER statement to enable the common user c##hr_admin to view information pertaining to the CDB$ROOT, SALES_PDB, and hrpdb containers in all container data objects that he can access, using the V$SESSION view. CDB$ROOT, SALES_PDB, hrpdb refer to the containers that must be accessible to user c##hr_admin. You must include CDB$ROOT. The root, named CDB$ROOT, stores Oracle-supplied metadata and common users. An example of metadata is the source code for Oracle-supplied PL/SQL packages. A common user is a database user known in every container. A CDB has exactly one root. The seed, named PDB$SEED, is a template that you can use to create new PDBs. You cannot add objects to or modify objects in the seed. A CDB has exactly one seed. A PDB appears to users and applications as if it were a non-CDB. For example, a PDB can contain the data and code required to support a specific application. 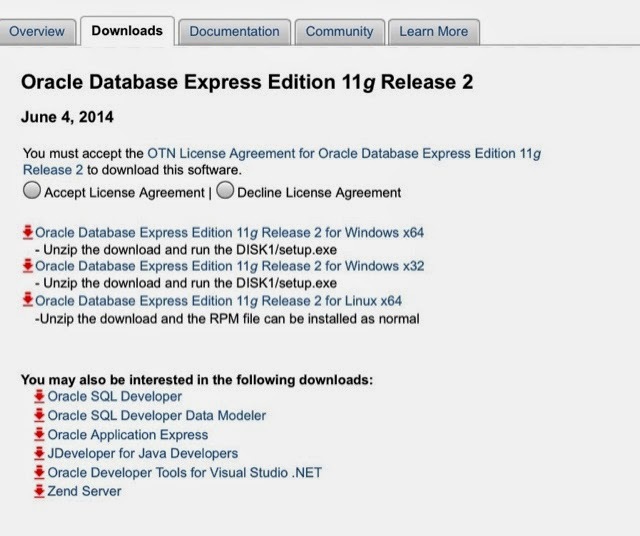 A PDB is fully backward compatible with Oracle Database releases before Oracle Database 12c. Each of these components is called a container. Therefore, the root is a container, the seed is a container, and each PDB is a container. Each container has a unique container ID and name within a CDB. Figure 36-1 shows a CDB with several PDBs. You can easily plug a PDB into a CDB and unplug a PDB from a CDB. When you plug in a PDB, you associate the PDB with a CDB. When you unplug a PDB, you disassociate the PDB from a CDB. An unplugged PDB consists of an XML file that describes the PDB and the PDB's files (such as the data files and wallet file). You can unplug a PDB from one CDB and plug it into a different CDB without altering your schemas or applications. A PDB can be plugged into only one CDB at a time. By consolidating hardware and sharing database memory and files, you reduce costs for hardware, storage, availability, and labor. For example, 100 PDBs on a single server share one database instance and one set of database files, thereby requiring less hardware and fewer personnel. By design, you can plug a PDB into a CDB, unplug the PDB from the CDB, and then plug this PDB into a different CDB. Therefore, you can easily move an application's database back end from one server to another. The CDB administrator can attend to one physical database (one set of files and one set of database instances) rather than split attention among dozens or hundreds of non-CDBs. Backup strategies and disaster recovery are simplified. Although consolidated into a single physical CDB, PDBs mimic the behavior of traditional non-CDBs. For example, if a user error causes data loss, then a PDB administrator can use point-in-time recovery to retrieve the lost data without affecting other PDBs. It is easier to collect performance metrics for a CDB than for multiple non-CDBs. It is easier to size one SGA than several SGAs. It is easier to apply a patch to one CDB than to multiple non-CDBs and to upgrade one CDB than to upgrade several non-CDBs. A multitenant environment is especially useful when you have many non-CDBs deployed on different hardware in multiple Oracle Database installations. These non-CDBs might use only a fraction of the hardware resources dedicated to them, and each one might not require a full-time database administrator to manage it. By combining these non-CDBs into a CDB, you can make better use of your hardware resources and database administrator resources. In addition, you can move a PDB from one CDB to another without requiring changes to the applications that depend on the PDB. Verify whether disk is part of cluster resource and SQL Server shall have dependency on it. Yes, this is configured as part of Cluster Storage used by SQL Server Instance. What does active mean? It means the volume is capable of containing an operating system bootable image. But this should not be the case for a disk used purely for SQL Server Databases. After turn it off, problem resolved. DiskPart marked the current partition as inactive.